Need to get away on holiday alone for whatever reason? 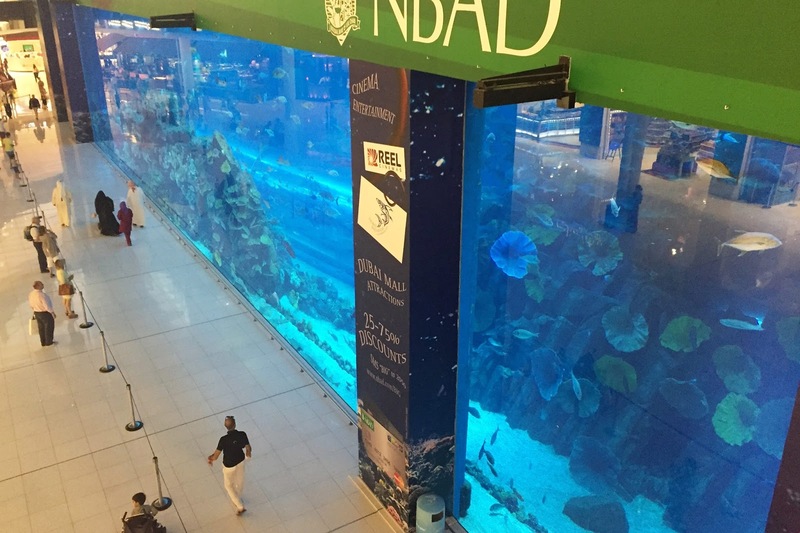 Dubai is a great place to go even if you’re alone, here are some of my suggestions of things to do. Dubai is a glitzy place which is often known for being a family holiday destination. It’s a great place to visit as a solo female traveller as there are many things to do alone. Without anyone really noticing that you’re there on your own. I say on my own, I did stay with my lovely friend and her husband which I was very grateful for. of affection (which are banned) then you should have no problems. It’s easier travelling alone to Dubai than going with a partner for a holiday in my opinion as you don’t have to worry about accidentally ‘slipping up’ if you’re from a country where holding hands is automatically what you would do with your partner when on a romantic trip or sightseeing. Dubai is a place of extremes, in hotels pretty much anything goes such as drinking, smoking, wild brunches, ladies nights and extreme partying but outside of westernised hotel external trips such as going to the mosques, desert sand dune bashing, skydiving or just chilling out on the beach are more sedate and relaxing. 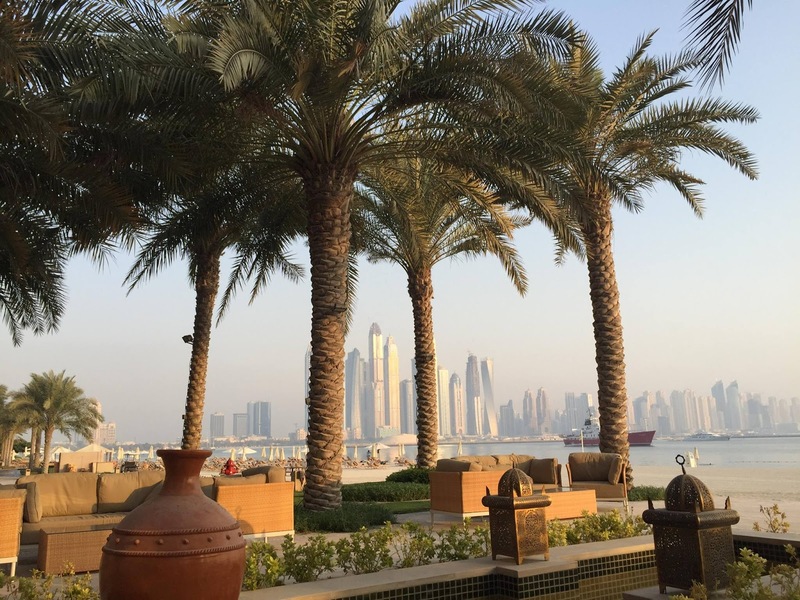 It really depends on your own personal preference, if you have any friends or business colleagues you can meet up with when you are in Dubai or if you are travelling and spending all of your time alone. 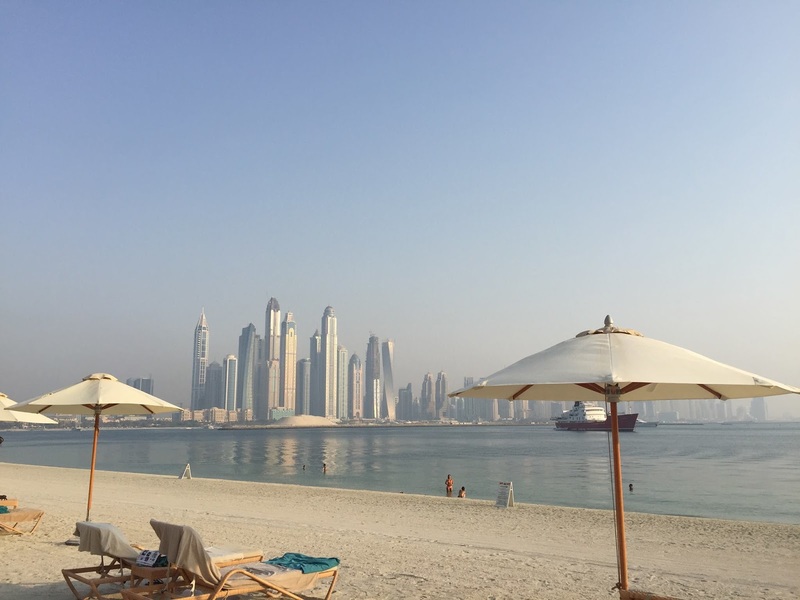 Dubai has gorgeous beaches, most of which are private and attached to a specific hotel. This does mean that if you’re staying with a friend, as I did, that you may want to attend a hotel beach club. 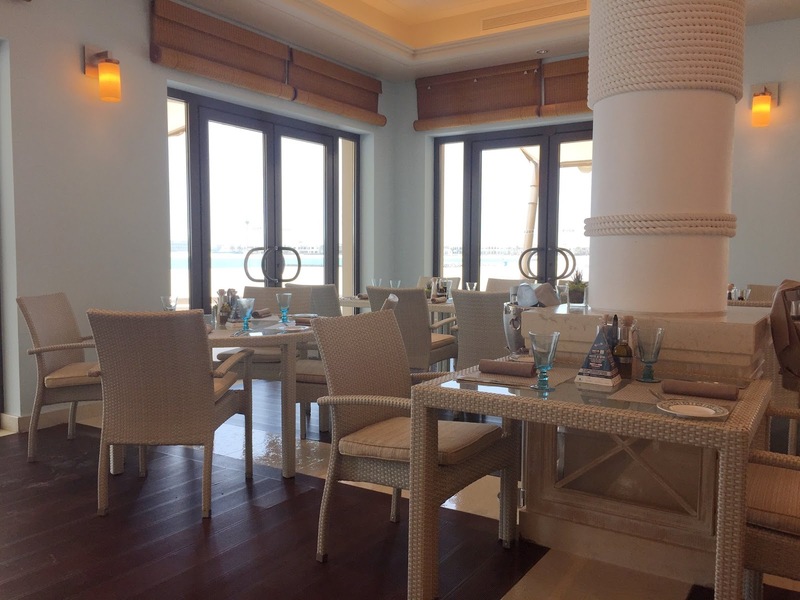 I chose to go to the beach club at the Fairmont at the Palm, which costs 200 AED per day, including 25% off of food in the beach restaurant Seagrill on 25° Restaurant & Lounge. 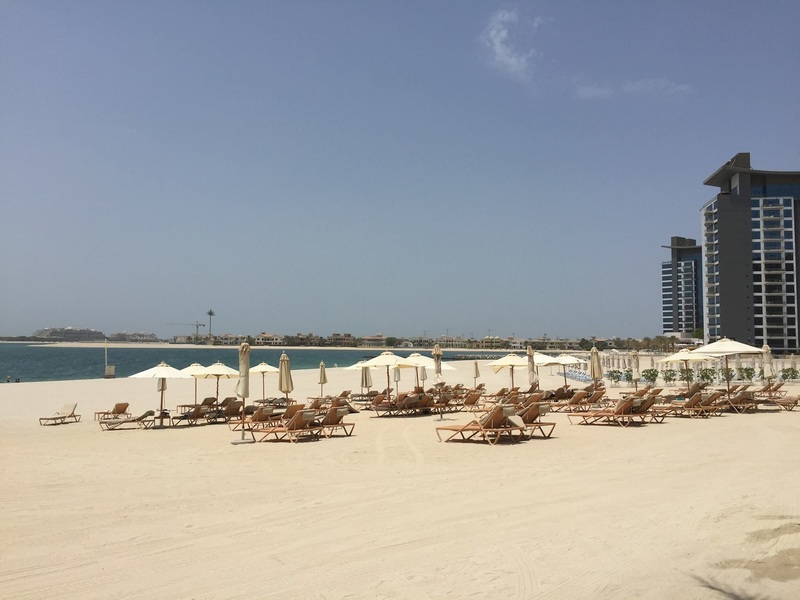 The beach was lovely and clean, you got plenty of towels and there is no need to move too far if you don’t want to, as the team are ready to serve ice-cold drinks and snacks to your lounger. 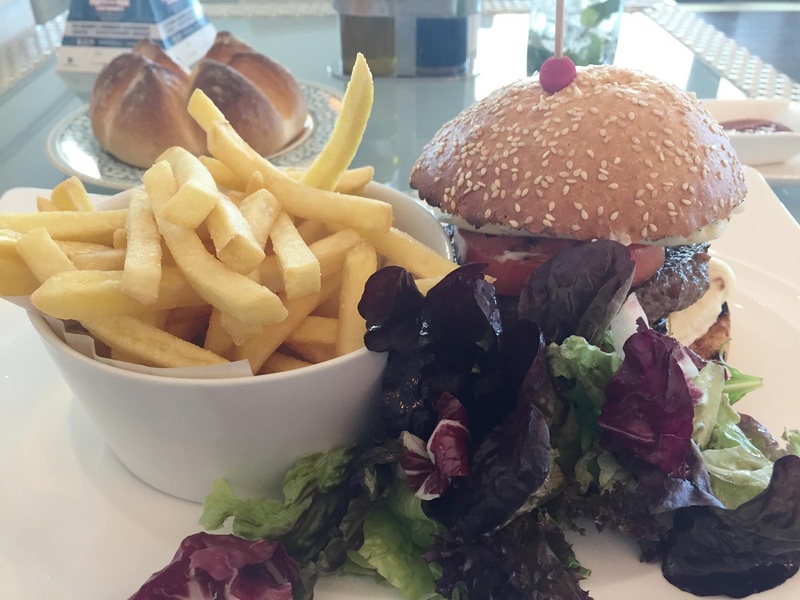 I was also really impressed with the specific beach club changing rooms and lockers with showers with clean towels, a steam and sauna room, Molton Brown products galore and even and hair dryers (which in 43 degree heat seems a bit mad…but each to their own)! I pre-booked myself a ticket to the top of the Burj Khalifa on their website as it’s cheaper to book in advance (here). I have a somewhat bizarre fascination with the tallest buildings in the world and the Burj Khalifa is such an intricately designed building and the tallest man made structure in the world at 2722 feet. You could also book afternoon tea in the lounge if you fancy treating yourself; the observation deck does get quite crowded so this could be a good way to get some tasty treats with an unobstructed view. Another day I visited the Atlantis Hotel at The Palm. This is one of the most amazing hotels I have ever seen. I was taken around on a tour of the hotel and spa. Everywhere is literally breath-taking. There are so many things to do from a water park with a lazy river ride you can bob around on an inflatable doughnut. There are pools, beaches, dolphin adventures, a shark walk, PADI scuba diving courses etc. There is the most beautiful spa where even the corridor to get to the spa treatment rooms looks stunning. There are shops, so many restaurants. You can book everything and see amazing pictures of what is available on their website. You don’t have to be a guest to go and visit things like the aquarium. 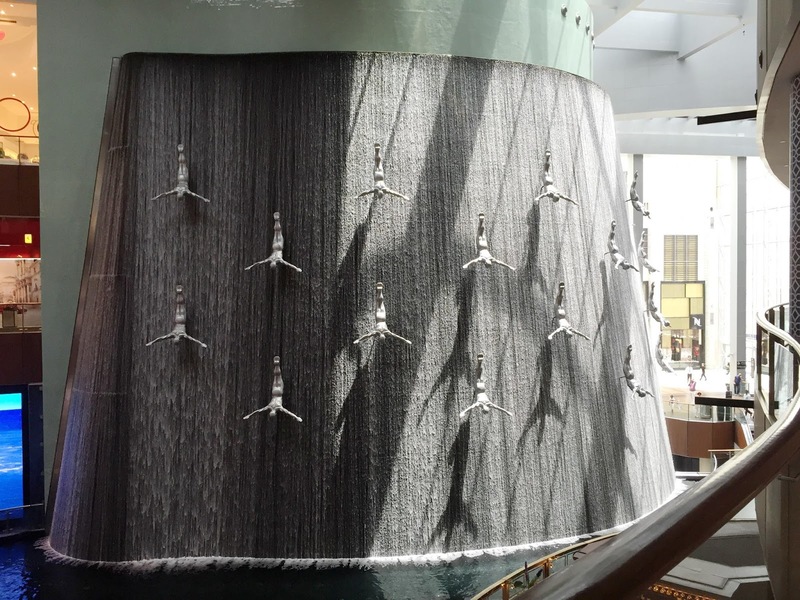 A whole day can be spent wandering around Dubai Mall . I was excited to find a Bath and Body Works! I can’t say the clothing selection was great but it was great to have a mooch about. They have American home ware stores such as Pottery Barn that I’ve never seen before. There are so many restaurants there, an ice rink and a huge aquarium with sharks and rays in the centre. If you fancy a drink and a dance, some hotels have ‘ladies night’ on a Tuesday or Wednesday evening. Drinks are completely free and food often has a discount too! I went with my friend Vivi to the Madame Butterfly ladies night at the China Grill in the Westin Hotel. You can find out more info here China Grill Dubai . They also have a brunch on Friday’s which is a bit crazy! So these are some of the things I recommend from my trip to Dubai. Have you been to Dubai? What did you think?